The WE CARE Clinic is a nurse-managed primary care clinic sponsored by SIUE School of Nursing to provide care to diverse clients in the Metro East. An interprofessional team works together to care for each patient in a holistic way. 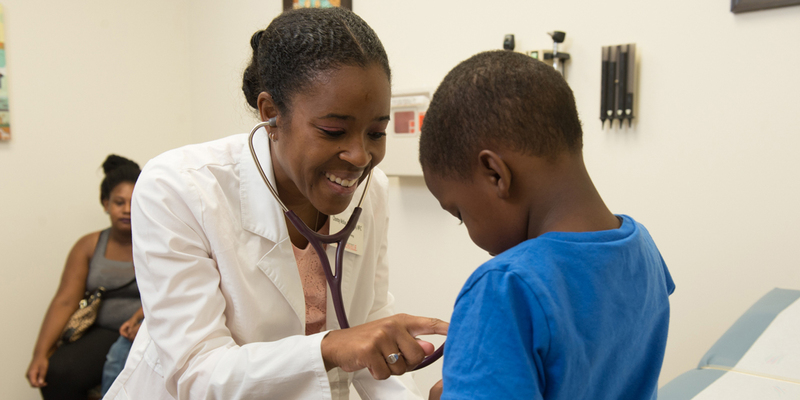 The team includes family nurse practitioners, a pharmacist, and a medical social worker. A Nurse Patient Advocate oversees a referral process among the team members, as well as oversees referrals to outside medical specialists. Our collaborating physician sees patients with complex health problems and makes determinations for disability benefits as needed. All people have a right to quality health care that recognizes the uniqueness of the individual, respects the individual’s rights, and strives to empower individuals to make appropriate choices about their health regardless of their age, income, education, gender, sexual orientation or religion.